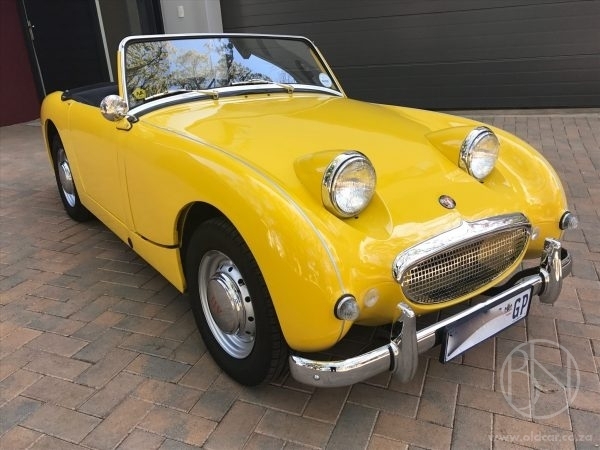 The Austin Healey Sprite – affectionally became know of the Frog eye due to the characteristic front lights. Launched in the late 1950's as a competitor to the MG Midget. The little car had independent suspension, was only 3.5 meters long and had a 948CC engine. A very capable little car which could do around 90miles an hour. It saw some success on the track, with a class win at Sebring in 1959.
a Spritely little car, which gives a wonderful engaged drive which is loads of fun!